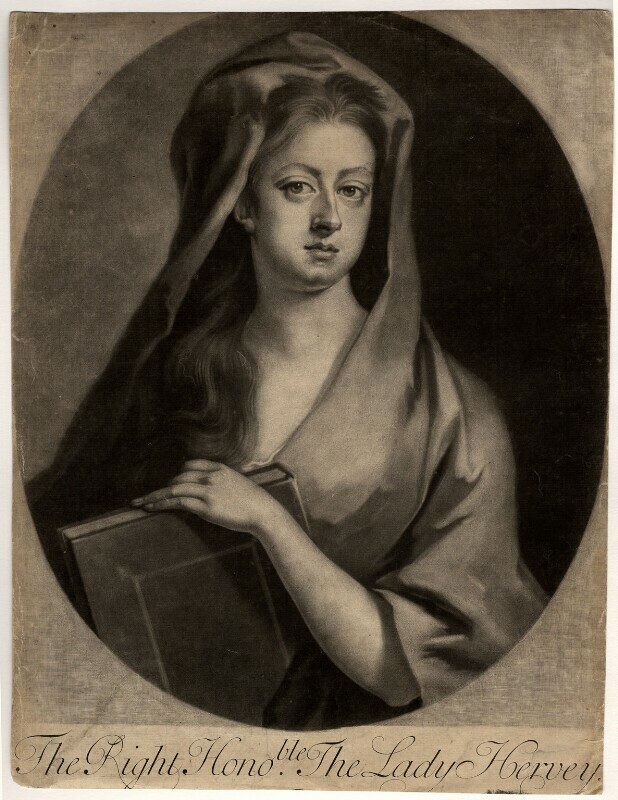 Elizabeth Hervey (née Felton), Countess of Bristol (1676-1741), Lady of the bedchamber to Queen Caroline; second wife of 1st Earl of Bristol. Sitter in 2 portraits. Princess Anne, daughter of James II by Anne Hyde, and now heir apparent to the English throne, returns to court having retired two years previously over William III's dismissal of John Churchill and his wife, Sarah, Anne's closest companion. William Congreve's comical farce, Love for Love, exemplifying the height of Restoration comedy, reopens Lincoln's Inn Theatre with a new actors' company led by actor Thomas Betterton. Its witty, sparking dialogue made it hugely popular with audiences. William III and Maximilian II Emanuel of Bavaria, commanding the army of the grand alliance, recapture Namur in the Spanish Netherlands from the French. Despite a period of victories, the Netherlands and England begin to struggle financially under the economic strain of the ongoing Nine Years' War.